Please allow the SPFD to welcome you more formally. Go to The Dancing Men (if you’re hungry, they make an excellent ploughman’s lunch) and ask for a saucer of milk for your snake. Then all will be revealed. Twelve-year-old Xena is sitting on the front steps of a London hotel with her little brother, Xander, when a strange man presses a note into her hand. The kids barely have time to read the peculiar message before the ink disappears from the paper. Once they learn that “The Dancing Men” is a nearby pub (and that a “ploughman’s lunch” is something they might actually like), they can’t ignore their curiosity about it. The clever siblings might be a bit more curious than most, though, since they happen to be the American descendants of the famous Sherlock Holmes. After inheriting his casebook of unsolved problems, they quickly find themselves on the trail of a century-old mystery the Great Detective himself never solved. Barrett introduces a pair of protagonists with immediate appeal for young readers. Like any siblings, Xena and Xander occasionally bicker and even embarrass each other, but when push comes to shove, each has the other’s back. Because they are American kids newly arrived in London, explanations of British culture and customs come up naturally in the narrative, rather than as awkward exposition for the reader. Nods to the original Sherlock Holmes stories are sprinkled throughout and sometimes explained (the saucer of milk for snake reference slips right by, but the Irregulars get a quick description). The mystery itself is very simple, and the characters never face any real danger or violence, making this a great selection for newly independent chapter-book readers as well as slightly older mystery fans. Once they’ve finished this quick-paced adventure, readers can continue to follow the Holmes siblings in three more series installments: The Beast of Blackslope, The Case that Time Forgot, and The Missing Heir. Recommend to: Fans of mystery and adventure ages 8-12. A few stats on my reading in 2012, according to my GoodReads account. Just like in 2011, I’m resisting the urge to create a list of the Top 10 Books I Read in 2012 or somesuch thing. Instead, I give you the 26 books I gave 5 star ratings on GoodReads in 2012. The Cybils Finalists have been announced! There are great books on these lists, and I’m not just saying that because I helped make the one for Middle Grade Fiction. (Speaking of which, if you followed the link from there to Points West to here, Hi! Thanks for coming by!) I was happy to see that one of my very favorite apps – The Monster at the End of this Book – is a finalist in Book Apps. Winners to be announced on February 14th. I can hardly wait! This one required a little detective work, since two of the books were under ambiguously-gendered pseudonyms (and both turned out to be male). The Spaghetti Detectives by Andreas Steinhöfel was translated from German. I have to pick one? Sorry, can’t do it. But here are my 5-Star Reads. Nerd Girls: The Rise of the Dorkasaurus by Alan Sitomer – I talk about why in the review. This was a tough one! In the end, I have to go with Henkes’ lovely prose. But I have to give Franny Billingsley’s Chime some love here, too. Close to Famous by Joan Bauer – I probably wouldn’t have read this at all had it not been nominated for the Cybils. That would have been a shame, since there’s a great story behind that sugar-sweet cover. Charlie Joe Jackson’s Guide to Not Reading by Tommy Greenwald – Another one I might never have read were it not for the Cybils. I honestly didn’t think I would like it, but I found myself unexpectedly charmed. Shine by Lauren Myracle – As I said when I reviewed it back in January, I was up until 1 in the morning finishing the last few chapters; I just couldn’t put it down. 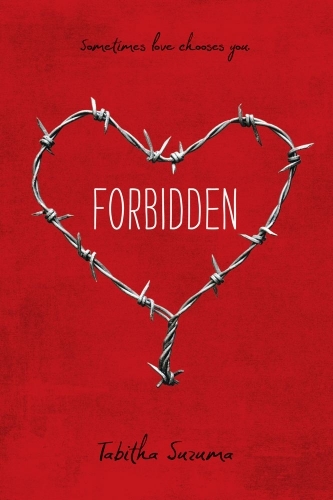 I’d like to say Tabitha Suzuma’s Forbidden, but I kind of knew what to expect before I started reading. So, I think I’ll have to say Words in the Dust by Trent Reedy. Book(s) I most anticipated in 2011? 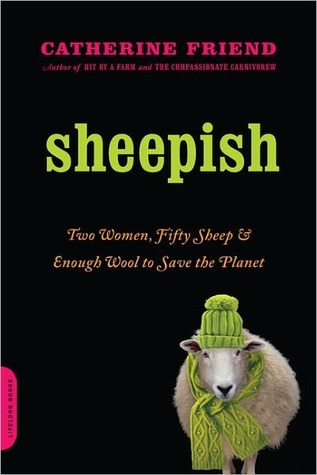 Sheepish by Catherine Friend – I don’t remember when I first heard she had a second memoir coming out, but it seems like it was ages before I was actually able to get my hands on a copy. A Life in Stitches – I’ve loved Rachael’s blog for years, so I was hoping she’d publish a memoir even before she announced it last year. Sage from Almost Perfect by Brian Katcher stands out for me, but it feels like a bit of a cheat, since I actually read the book twice. Almost Perfect by Brian Katcher – it was actually a re-read within the year, since I read the book after it won the Stonewall Award early in the year, and then I listened to the audiobook when I was assigned to review it toward the end of the year. It turned out to be a good thing, since I really disliked the book on the first reading, but I found it growing on me the second time. I also started re-reading Neil Gaiman’s American Gods in the new anniversary edition, but I didn’t finish before the end of the year. Hmm. I don’t really expect to re-read any of them. There were several first-in-series books that I’m planning on reading sequels to, though, so I might go back and re-read Across the Universe by Beth Revis, Bumped by Megan McCafferty (especially as I just purchased an e-copy in HarperCollins’ 99-cent sale), Delirium by Lauren Oliver, and/or The Emerald Atlas by John Stephens. Out in the library, I recommended Katherine Applegate’s Roscoe Riley Rules series quite a bit. They’re great for kids just moving into chapter books. I think most of the books I read this year originally came to my attention on one blog or another, not to mention that whole slew of Cybils nominees. Favorite new authors I discovered in 2011? 2: Two books about Alvin Ho by Lenore Look, and two books from the Lucky trilogy by Susan Patron. And I read the Brian Katcher book twice. 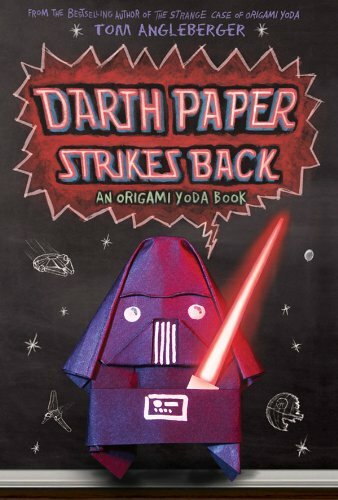 Favorite cover of a book I read in 2011? Oh, like I could pick just one! How about one for kids, one for teens, and one for grown-ups? That sheep in a scarf and hat just cracks me up! I’ll Get There, It Better Be Worth the Trip by John Donovan. The Shallows: What the Internet is Doing to our Brains by Nicholas Carr. I’ve started reading this twice, but I kept putting it aside. The Year We Were Famous by Carole Esby Dagg. It was on my original Debut Author Challenge list but didn’t happen in 2011. I’m planning to read it as part of the Truth in Fiction Challenge in 2012. I’m also just looking forward to reading lots more good books, writing lots more reviews, and getting to know other book bloggers better in 2012! Here’s the trouble with putting out that 5-Star List before the year actually ends. I should have known I’d end up adding one more! Just as well, since I think Welcome to Bordertown deserves special attention, anyway. The first three Bordertown anthologies – Borderland, Bordertown, and Life on the Border – came out in the mid-80s and very early 90s, just early enough to have passed out of print right at the time I would have loved them as a teen. (The Essential Bordertown came out later and is still in print, so I don’t really have any excuse for having missed it.) So, I’m a latecomer to the party. The one good thing about that is that I have some great books to track down and read now, and it looks like the editors are working on getting e-book editions out. This is an absolutely fantastic collection. There’s a bit of everything: short stories, poems, a comic, even a faerie jump rope chant. My expectations were high going in, since the list of contributors includes some really big names, and I was not disappointed. My personal favorite was Tim Pratt‘s “Our Stars, Our Selves”. I love when an anthology introduces me to a great author I somehow missed. I love the whole world of Bordertown. When I joined in the E-Book Reading Challenge, hosted at Ladybug Reads, I didn’t make a list of titles. I just put my name in for 12 books. 14/12 (117%) – Not bad at all. Thirteen (93%) were e-ARCs courtesy of NetGalley. One (7%) was a library book. This tells me two things: (1) I really should take advantage of the e-books my library has, and (2) I really should read some of the books I’ve purchased (or downloaded for free). I did use my Nook quite a bit to read the New York Times Book Review. Between the Les Mis Read-Along and the fact that I’ll be doing more traveling in 2012 than I did in 2011, I think my Nook will be getting more use next year. Will I be doing the E-Book Challenge again (hosted for 2012 at Workaday Reads)? Absolutely! And I’m planning to get 25 e-books read this time. Last November, I tossed my hat into the ring for my very first Reading Challenge. To complete the Debut Author Challenge, hosted by The Story Siren, I was supposed to read 12 debut MG/YA novels. So, how’d I do? 17/12 (141%) – Pretty well, I’d say! Seven of them were from my original list. Three more were Middle Grade Fiction Cybils nominations (Lucy Wu was a fourth nomination, but also on my original list). I posted reviews of twelve of them here, plus one more at GoodReads that never showed up on the blog (oops). This was a fantastic challenge, and I loved finding new authors. Aimee Carter, Tommy Greenwald, Kirsten Hubbard, Megan McCafferty, Cat Patrick, Ashley Hope Pérez, and Beth Revis all have books slated for publication in 2012, too. Will I do this challenge again in 2012? Of course! “In My Mailbox” is a weekly meme hosted by The Story Siren to highlight books received during the week. Actually, Hound Dog True came twice, since another judge sent me her copy, too. On Monday, I took a trip to my favorite used bookstore and came home (as usual) with a few things. I’ve been slowly acquiring the hardcover British editions of the Harry Potter books. I have book 6, thanks to a donation to the Friends of the Library’s used book shop, and I have a copy of Harry Potter and the Philosopher’s Stone, thanks to a friend in the U.K. Three out of seven; nearly halfway there! I’ve been stalking the Writing Reference shelves for several books recommended in a Writing for Children class, and this is one of them. One of these days, Picture Writing is going to show up, I know. 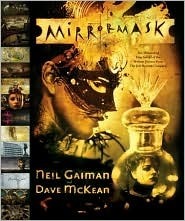 My obsession with appreciation of Mr. Gaiman’s writing is not news to anyone who knows me. This might just tip me over the edge into signing up for one more challenge for 2012, though.